This website is the companion to the book, Chosen: End Times Truths Revealed (Infinity Publishing 2006). Chosen is the autobiographical account of my personal experiences and existential journey of enlightenment and discovery that God has anointed me to perform a very important task for Him in these End Times as one of His Chosen. Within its pages is an in-depth look behind the scenes at the Spiritual War raging in an unseen world. Included are the chronological conversations I had with the Cherubic Order’s Messenger, detailed accounts of visions I've been given in relation to End Times prophecy and concise information on the Cherubic Order’s mission as well as the truth about Satan and his legions, their motives and the parts they play in the spiritual war. 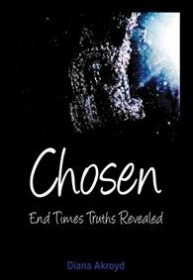 Chosen: End Times Truths Revealed can be ordered on BBOTW.com and Amazon.com, Barnes & Noble, & Books-A-Million, You may also click HERE to receive a FREE PDF VERSION.